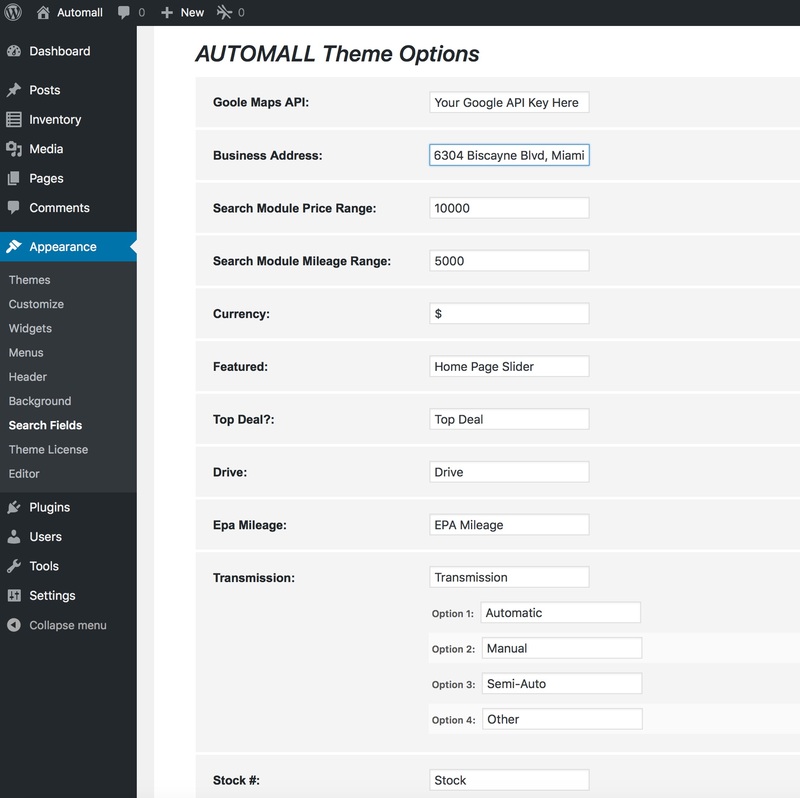 You can setup currency, metrics, search options, labels and values on WordPress Automotive Theme. Browse to Appearance => Search Fields to setup your search options, here you can hide/show several drop down fields from your search module. Add your own currency and metrics to be used on the entire inventory and change all labels to your own values. Change search module price range, miles range, add your business address, change all search module labels and much more.